New Independent Tour ​for the Nature Lovers! Our tuk tuk will pick you up from your hotel and transfer to the boat where we will send you off downstream to Pha Tad Ke botanical garden. On arrival garden staff will meet you there and give you an introduction, so you can easily self-guide yourself around the garden. For those wishing to explore there is a 60minute walk to the cave, with views over the gardens. 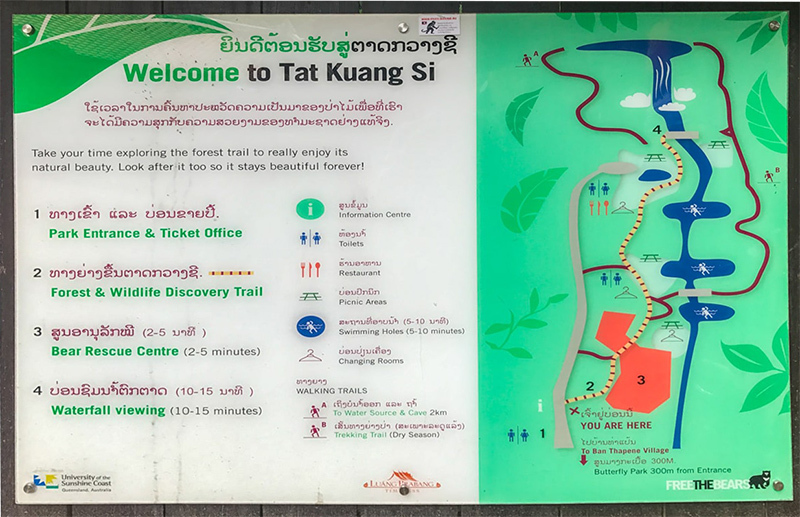 Areas are well sign posted and the ethno-botanic garden has plants pertaining to Lao life, including those used for medicines, festivals, food preparation and natural dyes. The café offers a tasting of herbal teas, and you can enjoy some time relaxing there overlooking the lily pond.